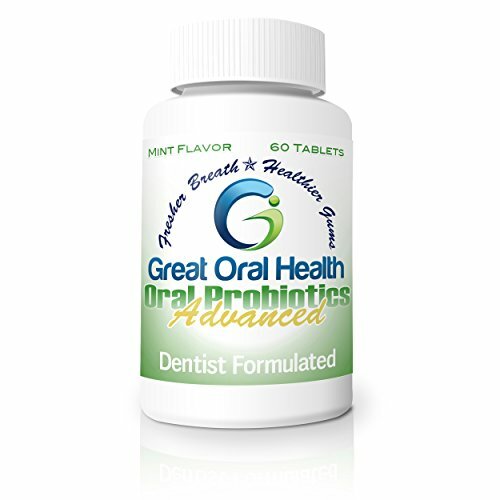 Home / Probiotics Supplements / #1 Dentist Recommended Oral Probiotic Supplement: Effective Halitosis and Gum Disease Treatment. Free Shipping for Amazon Prime Members. ALL NATURAL INGREDIENTS-GLUTEN AND LACTOSE FREE. 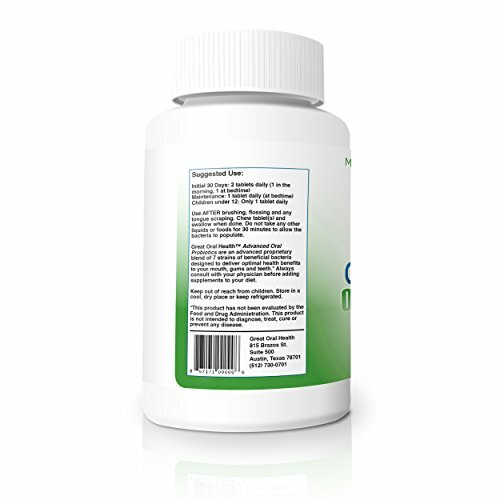 Potent blend of beneficial bacteria, including Lactobacillus, Streptococcus | BLIS K12 and M18. Ships with Amazon A-to-Z Guarantee! 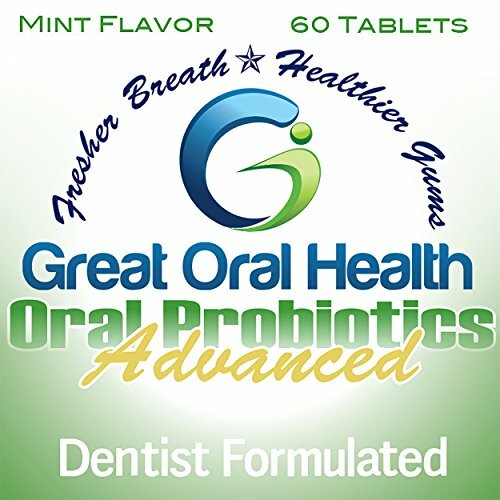 DENTIST RECOMMENDED and APPROVED: Great Oral Health Advanced Oral Probiotic formulation is Now Available Without Prescription. 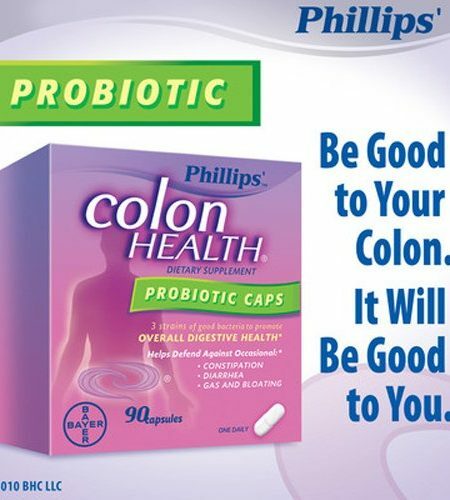 Packed with a proprietary blend of 7 potent strains of beneficial bacteria: Lactobacillus Acidophilus, Lactobacillus Reuteri, Lactobacillus Salivarius, Lactobacillus Paracasei, Lactobacillus Thermophilus, Streptococcus Salivarius BLIS K12 and M18. Tastes Great: From the 1st chewable tablet you will immediately notice the clean, fresh taste. Unlike other halitosis cures or bad breath treatments, Great Oral Health Oral Probiotics WILL NOT LEAVE A METALLIC AFTERTASTE OR DEADEN YOUR TASTE BUDS. 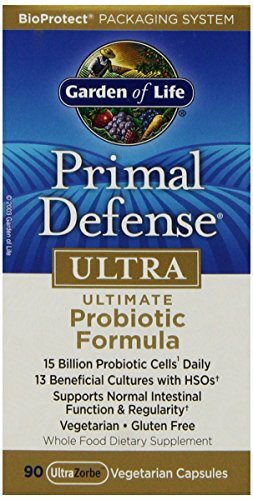 These Advanced Oral Probiotics were developed for You by a leading holistic dentist as a part of his mission to improve oral health for us all. Unlike other leading oral probiotics our formulation contains a full spectrum of 7 POTENT STRAINS of friendly bacteria to help promote FRESHER BREATH, HEALTHIER GUMS, FEWER CAVITIES AND IMPROVED EAR, NOSE AND THROAT HEALTH. 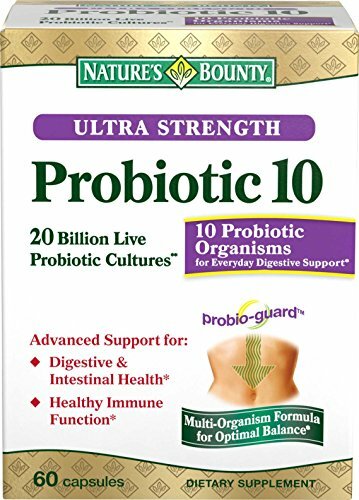 ★ Your Advanced Probiotics are packed with several strains of Lactobacillus and Streptococcus Salivarius BLIS K12 | BLIS M18, which studies have shown to support improved health in the mouth as well as in the ear, nose and throat areas. Studies have shown that the overgrowth of bad bacteria in your mouth is a big factor in the development of gum disease, gingivitis, and periodontal problems. In addition, the abundance of bad bacteria creates a high level of acidity that directly contributes to tooth decay. Morning breath, chronic halitosis and bad breath are all results of this bad bacterial overgrowth. While the use of tongue scrapers is recommended, it is very important to also repopulate your mouth with beneficial bacteria to create a healthy balance and environment within your mouth. Popular tooth decay cures and bad breath remedies, such as Listerine and ACT mouthwash, work by killing the germs and bacteria in your mouth. 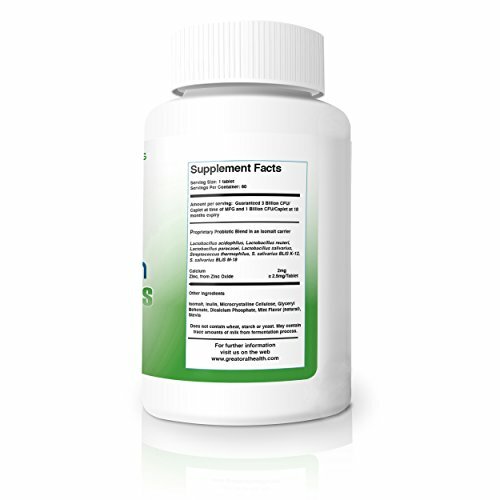 Our natural probiotics supplement works by rebuilding the helpful bacteria in your mouth. These beneficial bacteria go to work, crowding out the bad bacteria that contribute to bad breath, tooth decay and gum disease… even lowering the pH level in your mouth to healthier levels. 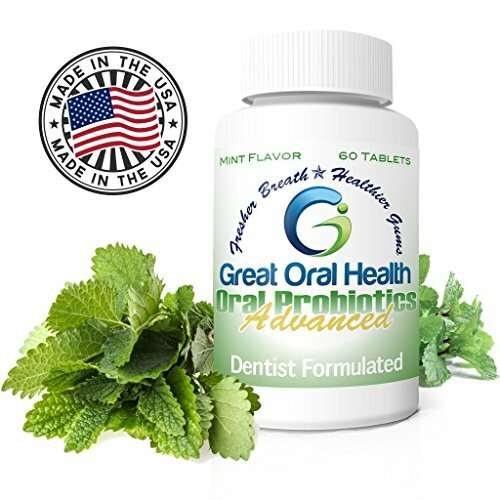 Proudly Made in the USA: You can trust and feel safe knowing that the Great Oral Health oral probiotic formula is 100% MANUFACTURED IN THE USA. Made to exacting standards in a premier manufacturing facility, Great Oral Health probiotics utilize the patented LIVEBAC® process for guaranteed, long-lasting and potent active culture life in each tablet-that DO NOT REQUIRE REFRIGERATION. We are so confident of our quality control that we offer a 100% satisfaction GUARANTEE on any empty bottle return. Ships from Amazon and comes with the Amazon A-to-Z Guarantee! Quality Ingredients: Your oral probiotics will come GLUTEN FREE, LACTOSE FREE AND VEGETARIAN SAFE. Made from all natural ingredients with NO ARTIFICIAL FLAVORINGS, NO ARTIFICIAL SWEETENERS. Note: Strict vegans please visit the FAQ section at GreatOralHealth.com for additional information on suitability.